The Pouilly vineyard, 200 km south of Paris, on the Loire’s right bank, stretches between the royal river and the mythic Route Nationale 7. Its curves, indocile flatlands and tormented reliefs unfold alternating between calm riverside and steep hills, as if a very ancient and intimate complicity between the river and surrounding hilly countryside had come to pass. Originally a Gallo-Roman farm, ‘Pauliaca Villa’, the Pouilly vineyard has existed since the 5th century. 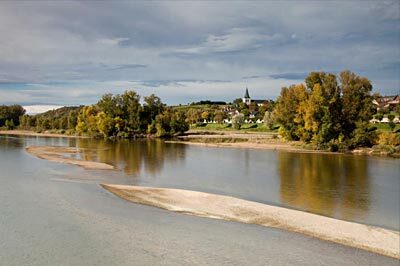 It developed considerably under the Benedictines during the Middle Ages (notably by the Prieuré de La Charité-sur-Loire, on the ‘Route de Compostelle’) and further developed thanks to a boom in commerce starting in the 16th century when the Loire became navigable… the proximity of Paris helped make a name for Pouilly-sur-Loire (Chasselas grapes) and Pouilly Fumé (Sauvignon Blanc), DAZZLING APPELLATIONS NOW APPRECIATED BY CONNOISSEURS THE WORLD OVER. Like a gem harmoniously set in the heart of the luminous ‘Val de Loire Nivernais’ countryside, around the St-Andelain hill, Domaine LANDRAT-GUYOLLOT is where the many faces of wines finely chiselled by terroirs as varied as they are exceptional come to light. Pouilly, Tracy, Saint-Andelain, Saint-Laurent, Mesves, Saint-Andelain and Garchy. 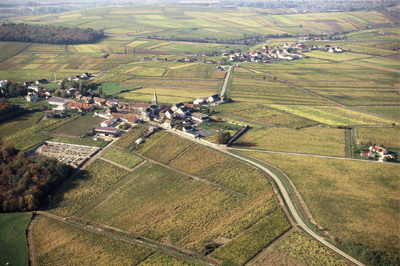 - AOC Pouilly-sur-Loire (Chasselas grape): 40 hectares, 2 250 hectoliters. Dry white wine, light and easy to drink. - AOC Pouilly-Fumé (Sauvignon Blanc grape): 1 200 hectares, 70 000 hectoliters. Dry white wine, rich, mineral and fruity.